I moved to New York City at the age of 21 to study dance with the modern dance "giants" Martha Graham and Erick Hawkins. Very early on, I found that being in the Big Apple was more stressful than planned, and I developed a lot of back pain while doing my craft. Pretty miserable, a friend mentioned that the Alexander Technique had helped her both with back pain and in having more beautiful lines for her dance technique. 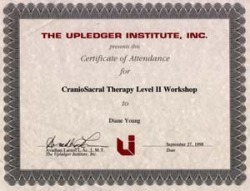 I was intrigued, and still tell people to this day that I "crawled" to my first Alexander Technique lesson. The work was so creative, and so pleasurable, that I was hooked! I studied for more than a year while continuing to waitress and choreograph, but definitely wanted to train to be a teacher. I was very lucky to find ACAT, an Alexander school that had exceptionally talented and gifted teachers, and I completed my three year 1600 hour training in 1987. I was also lucky to continue my connection to ACAT, and became a trainer of teachers in 1989, which allowed me to serve a wonderful community of enthusiastic Alexander trainees. Now that I have left NYC and moved to Philadelphia, I still draw on that resource, but I have expanded my reach, and also do healing modalities (CranioSacral Therapy and Energy Healing) as well as Coaching. Meanwhile, I have never given up my love of movement and creativity and although I am no longer choreographing, I teach dancers, musicians, and still teach Pilates for health and fun. I have always followed my passions, and for me, movement and healing are the most important things in my life. I hope to inspire my clients, to help them learn and grow and heal from old out-worn ways of being and living that no longer serve them. I lead workshops in movement and spiritual development, and I am always happy to teach the Alexander Technique! 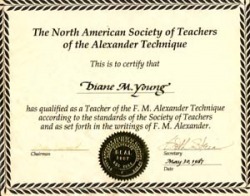 I have taught The Alexander Technique privately and at Stony Brook University and Rutgers University Music Departments (DMA Programs), was on the Faculty of the American Center for the Alexander Technique for 23 years, have taught Dance and Creative Movement at Omega and The Open Center in New York City, and has conducted many workshops throughout the NY/NJ area in The Alexander Technique and creative movement. 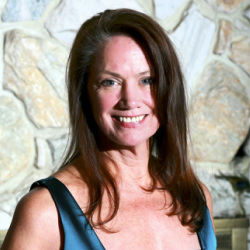 I am also a Certified Pilates Mat and Reformer teacher, working at Philadelphia Sports Club as well as offering private sessions. My teaching style allows for a very relaxed and informative learning process, and my private work with Pilates clients blends the Alexander Technique into the Pilates session, which is a unique and valuable addition to the private experience, bringing a unique value to the client. This approach to self-care goes well beyond the classic understanding of exercise. 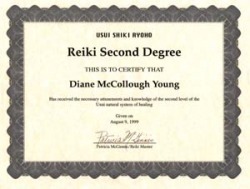 People often comment that they feel energized, relaxed and restored after their lessons. I am also a Health and Wellness Coach who can work with you virtually or in person to design a healthy, wealthy, and peaceful life. Make a decision to step up today for a Complimentary STRATEGY session and see if working together is right for you at this time. Remember that I also do telephone coaching sessions to help you get your life back on track...fitness, weight, freedom of movement, what could be better than that? Email: diane.bodymind@verizon.net.